When I searched nutritional yeast on my blog and came up with over 40 recipes I figured it was safe to say that I love nutritional yeast, though that wasn’t always the case. At one time I felt that everything I tried it in had a funny after taste though I am not sure it that is because the things I tried had too much or it is an acquired taste. All I know now is that I love it and that when my jar is only a quarter full I have to buy more immediately for fear of running out. It is a great source of Vitamin B. It is a complete protein. Many of the vegan dishes you taste with a cheesy flavor use nutritional yeast to obtain it. Edible mushrooms are related to it. If you are interested in some nutritional yeast recipes click here. I like it sprinkled on anything that I would have put parmesan cheese on in the past. When I was a kid my mom made popcorn with butter and parmesan cheese. It was my favorite. 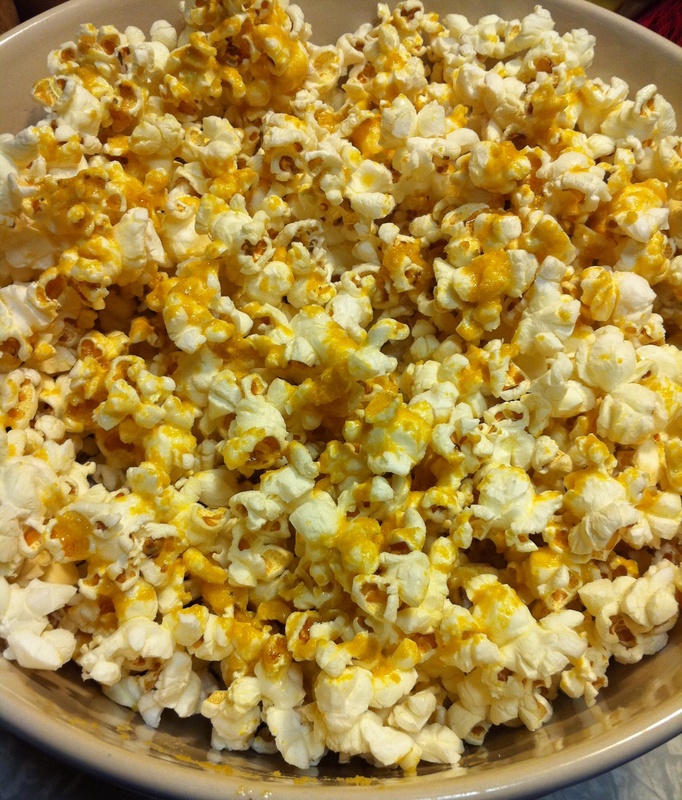 I know make my popcorn with vegan butter and while the butter is melting i throw in 2 tablespoons of nutritional yeast for buttery cheesy goodness! The little vegan loves it also. I am just glad she doesn’t know it’s in the dame family as mushrooms because she probably wouldn’t touch it then! Gallery | This entry was posted in A - Z MOFO 2011. Bookmark the permalink. I love nutritional yeast so much, it makes everything cheesy good! Nutritional yeast is one of my bestest friends and DD loves the stuff!